Vitamin B12 is an essential water-soluble vitamin that plays an assortment of roles within the human body. The vitamin is otherwise known as cobalamin, and it is responsible for helping to manufacture DNA and produce energy. However, which foods contain the most B12? This article provides a list of the top 20 foods high in vitamin B12, with a focus on unprocessed whole foods. For each food, we list a ‘per-serving’ and ‘per 100 grams’ value, and all data is sourced from the USDA food composite database. Liver is an excellent source of vitamin B12, and a 5 oz (140-gram) serving of beef liver provides a substantial 1645% of the RDI (1). Not only is liver rich in B12, but it is also a significant provider of many other essential nutrients, particularly vitamin A and copper. Key Point: There are not many foods that can match liver for its vitamin B12 content, and lamb’s liver is especially high in the nutrient, providing 1501% of the RDI per 100 grams. Although not quite as rich in B12 as liver, regular beef is still a good source of the vitamin. A typical 8 oz (225-gram) ribeye steak supplies a decent 120% of the RDI for vitamin B12 (4). 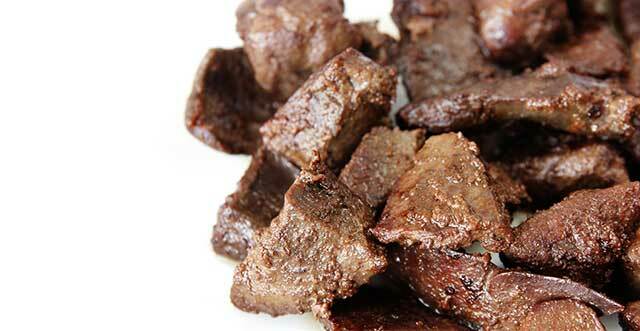 As well as being a source of vitamin B12, beef is also very rich in protein, B vitamins, selenium, and zinc. Key Point: Ribeye steak offers 52% of the RDI for vitamin B12 per 100 grams. Staying with the seafood theme, and the common oily fish mackerel is another food that is very high in vitamin B12. For instance, one small fillet of mackerel supplies 279% of vitamin B12’s RDI (5). It is worth noting that there are several different species of mackerel, but this value is for Atlantic mackerel. Compared to other mackerel species such as Spanish mackerel and king mackerel, the Atlantic variety has much lower levels of mercury. Data collected between 1990 and 2012 shows that Atlantic mackerel has one of the lowest levels of mercury contamination among all commercial fish (6). Aside from its B12 content, mackerel provides a good source of protein and selenium. Key Point: 100 grams of Atlantic mackerel supplies 317% of the RDI for vitamin B12. Most types of seafood are incredibly nutrient-dense, and clams are no different. Clams are a highly concentrated source of vitamin B12, and a modest 3 oz (85-gram) serving provides 1401% of the RDI (7). Clams are a type of shellfish, and they live most of their life on the ocean floor. These little shellfish are popular as an edible food around the world, particularly in Japan and the Mediterranean region. However, they are also popular in the West, with the American ‘clam chowder’ perhaps being the most famous dish. In addition to their B12 content, clams are an excellent source of iron and omega-3 fatty acids. 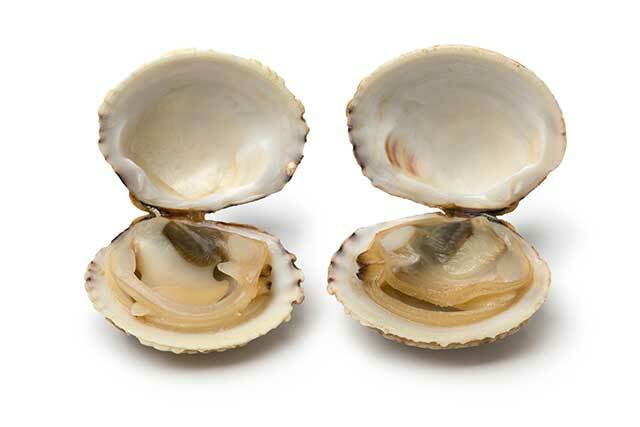 Key Point: Clams are extremely high in vitamin B12, and they supply 1648% of the RDI per 100 grams. The king crab is a large crustacean species native to the Pacific ocean. Since it is reasonably challenging to catch, king crab usually sells for a high price, and people consider it to be premium seafood. As well as being delicious, king crab also contains an impressive range of nutrients. King crab is exceptionally high in vitamin B12, and one leg provides 257% of the RDI (8). Also, king crab is a very good source of omega-3 fatty acids, with one leg containing more than 600 mg of highly bioavailable omega-3. Milk is high in several important nutrients, and most people already know that it contains a good source of calcium and protein. However, milk is also rich in vitamin B12, and it supplies 18% of the vitamin’s RDI per cup (9). This quantity is far from what organ meats and seafood offer, but it is still a decent amount for one small drink. On this note, milk is an excellent vegetarian source of vitamin B12. Studies demonstrate that drinking milk improves the vitamin b12 status of young vegetarian people (10). Key Point: Milk offers approximately 7% of the RDI for vitamin B12 per 100 grams. Lamb offers all the benefits of beef, but it often has slightly higher nutrient concentrations. Typically, this increased nutrient-density is because lamb spend their time grazing on nutrient-rich pasture all day. Regarding the vitamin B12 content, lamb offers a similar concentration of the vitamin as ribeye steak does. 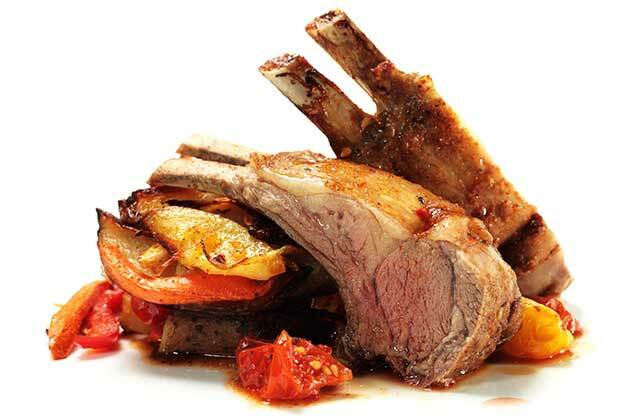 For example, an 8 oz (225-gram) portion of lamb chops contains 120% of the RDI for B12 (11). Key Point: Per 100 grams, lamb provides 53% of vitamin B12’s RDI. Switching back to seafood, tuna is another excellent seafood option. Rich in protein, omega-3, and a whole range of essential nutrients, tuna offers a lot nutritionally. Tuna is also one of the richest seafood sources of B12, with a 6-oz (170-gram) tuna steak providing 308% of the RDI (12). Although tuna is high in mercury, it is also a significant source of selenium. Since selenium has been shown to bind mercury, this may cancel out some of the negatives of the high-mercury content (13). Key Point: 100 grams of bluefin tuna provides 181% of the RDI for vitamin B12. Similar to clams, oysters are a highly concentrated source of essential vitamins and minerals. Oysters are full of vitamin B12, providing 496% of the RDI per 3 oz (85-gram) serving (14). However, vitamin B12 is just a small part of their nutrient profile. In addition, oysters are a significant source of copper, selenium, zinc, and omega-3 fatty acids. You can’t go wrong nutritionally with oysters, and they are one of the world’s most nutrient-dense foods. Key Point: Per 100 grams, oysters offer 585% of the recommended dietary intake for vitamin B12. For those who don’t live near the coast, the octopus may seem like a strange food. However, it is a part of the national cuisine for many nations, and it is particularly prevalent in the Mediterranean region and the Far-East. Octopus generally has a light and bland taste, and it takes on flavor from whatever it is served alongside. Nutritionally, this seafood is hard to beat, and it contains a wealth of essential nutrients. Among these nutrients, octopus contains exceptionally high concentrations of vitamin B12. A 5-oz (140-gram) portion of octopus supplies 840% of the RDI (15). Further benefits of octopus include its protein and selenium content, and the small to moderate amount of omega-3 it contains. Key Point: Octopus gives us 600% of the vitamin B12 RDI per 100 grams. Herring is an omega-3 rich oily fish and it is also a great source of B12. In fact, just one herring fillet provides 313% of the vitamin’s RDI (16). Herring is available to buy in all different shapes and sizes, and it can be canned, fresh, frozen, or even smoked (smoked herring are known as ‘kippers’). Other than the vitamin B12 content, omega-3 is the biggest health benefit we can get from herring; one fillet contains more than three grams of omega-3 fatty acids. Key Point: There is 219% of vitamin B12’s RDI per 100 grams of herring. Although it cannot compete with the oily fish options, haddock is still a good seafood source of vitamin B12. One haddock fillet provides around 35% of the RDI for the vitamin (17). Haddock is also rich in B vitamins, selenium, protein, and it is moderately high in omega-3 fatty acids. Key Point: Per 100 grams, haddock supplies 23% of the RDI for vitamin B12. 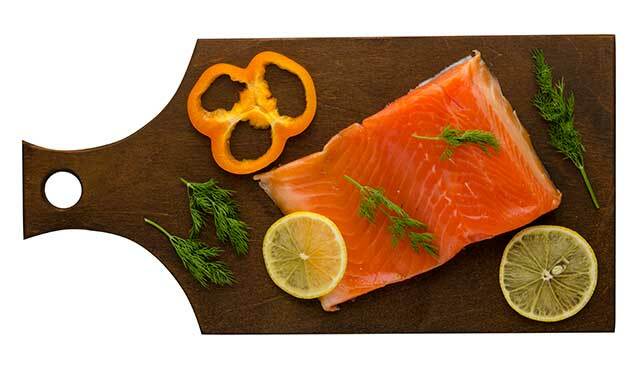 Similar to other oily fish, trout has one of the highest vitamin B12 contents. Per regular rainbow trout fillet, there is 150% of the RDI for the vitamin (18). Generally speaking, trout has a bright orange to pink color, and it shares a similar appearance and taste profile with salmon. Trout is one of the best sources of fish, and it offers a large amount of omega-3 alongside very little evidence of mercury contamination. Other than B12 and omega-3, trout is also a rich source of protein. Liverwurst is not quite a whole food, but it is just as healthy and only contains a handful of nutrient-dense ingredients. The typical liverwurst recipe features either beef or pork liver, accompanied by animal fat and various herbs and spices. Since the main ingredient in liverwurst is liver, the vitamin B12 content is noteworthy. For instance, liverwurst provides 65% of the RDI per ounce (28 grams) (19). Liverwurst is a quick and simple ingredient, and it easily increases the overall nutrient-density of our diet. Aside from the B12, liverwurst is a significant source of vitamins A and D.
Key Point: Liverwurst is loaded with vitamin B12 and it provides 224% of the RDI per 100 grams. Mussels are another type of shellfish, and they live in freshwater and saltwater habitats. Similar to clams and oysters, mussels provide an impressive range of nutrients, and they contain substantial amounts of vitamin B12. Per 3 oz (85-gram) serving, mussels offer 340% of the vitamin’s recommended intake (20). Mussels also offer a notable concentration of omega-3, manganese, and selenium. Interestingly, a randomized trial recently looked into what effect a “mussels intervention” would have on patients with rheumatoid arthritis (RA). In this study, adding mussels to the diets of RA patients led to a slight reduction in inflammatory markers (21). Key Point: Mussels provide 400% of the vitamin B12 RDI per 100 grams. 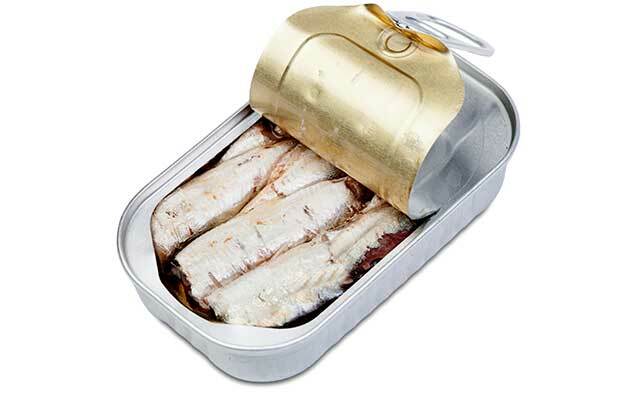 Sardines are an excellent source of vitamin B12, and just three small sardines provide 121% of the RDI (22). Aside from their B12, sardines are a rich source of selenium, omega-3, and a rare dietary source of vitamin D.
Sardines are available canned, fresh, and frozen, and all three are healthy and nutrient-dense choices. Another benefit of sardines is that they contain lots of tiny edible bones, which makes them a significant provider of calcium (23). Key Point: Every 100 grams of sardines supplies 150% of the RDI for vitamin B12. Generally speaking, all types of organ meat are highly nutritious, and kidney is another excellent source of vitamins and minerals. Kidneys are a good source of all the B vitamins, and they supply a significant amount of selenium too. Key Point: Lamb kidney contains a significant amount of vitamin B12, providing 1315% of the RDI per 100 grams. You may have noticed the pattern; shellfish, oily fish, and organ meats tend to be the largest providers of B12. As an oily fish, salmon has a respectable concentration of the vitamin, and a half-fillet of the fish provides 72% of vitamin B12’s RDI (27). Salmon contains a range of health-promoting compounds, and these include the fish’s large omega-3 stores, selenium, and the pigmented carotenoid astaxanthin. A recent randomized controlled trial suggests that astaxanthin may play a protective role in defending skin against UV-induced damage (28). Key Point: 100 grams of salmon provides 58% of the RDI for vitamin B12. As a concentrated source of milk, cheese provides a decent amount of vitamin B12 too. There are thousands of varieties of cheese in the world. Among these, the most significant provider of B12 is Swiss cheese, and a 2-oz (56-gram) serving offers 32% of the RDI (29). Although previously demonized for its high-fat content, recent research suggests that cheese is healthy and nutritious. Notably, systematic reviews of randomized controlled trials show that dairy fat is likely neutral or beneficial for our health (30, 31). Swiss cheese is also an excellent source of protein and calcium. Key Point: Per 100 grams, Swiss cheese supplies 56% of the RDI for vitamin B12. Although getting vitamin B12 from whole food sources is ideal, only animal foods contain meaningful concentrations of the nutrient. As a result, anyone avoiding animal foods has to rely on B12 supplementation and fortification to ensure sufficient intake. Foods that commonly contain vitamin B12 in the highest amounts include cereals, meat substitutes, and soy-based milk and yogurts. Key Point: People that do not consume animal foods should ensure they supplement or eat B12-fortified foods. For convenience, the table below displays the top 20 foods high in vitamin B12 per 100 grams. A sufficient intake of vitamin B12 is crucial for the human body. As shown in this article, many foods supply substantial amounts of the vitamin. By consuming a mixture these foods, we should be able to acquire an adequate amount of this vital nutrient. For more information on vitamins and minerals, see this in-depth guide. No problem, glad it helps! What about chlorella, bladderwrack, seamoss and other seaweeds??? You didn’t mention anything plant based. Where do you think those animals get there b12 from? Where they get it is where we should be getting it. This was about the highest and most bio-available whole food sources. As mentioned in #20, vegans can get B12 from fortified foods and supplements like chlorella as you mention. What is the Best Type of Magnesium Supplement?